This is the premier small boat regatta in the Inland NW (Eastern WA., North Idaho, NW Montana) run by the Columbia Basin Sailing Club in the Tri-Cities area. Typical boats sailed are Hobie's, Lasers, Thistles, Lightnings, Trailer-able Keelboats, and others. With not many regattas available within the NW region of the US this is a must event to attend and support to grow our sport that we all love. If you have no racing experience and are new to sailing then the best way to get experience is to crew with an experienced sailor/racer. People racing in this regatta are a bunch of fun loving sailors. If they find out you are new to racing, watch out as they will be way excited to include you in all the fun. GOOD NEWS! There typically is always a lot of wind! 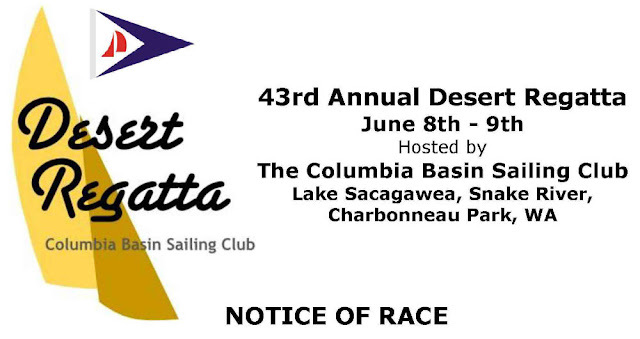 To learn more visit the Columbia Basin Sailing Club website! I might add Harrison Lake, BC is absolutely a gorgeous place to sail and vacation. See video blow. Cost $375 if you sign up before Aug 15. After it costs $425. 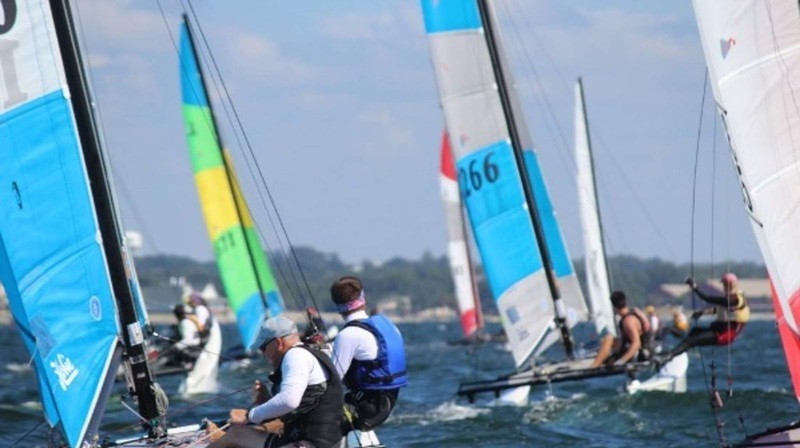 This event is also the Hobie 20 North American Championship. A tourist from Germany survived being knocked overboard and left adrift for hours on the open water off the coast of New Zealand last week -- all thanks to his jeans. Arne Murke was delivering a yacht with his brother from Auckland, New Zealand to Brazil when they ended up sailing through rough seas about 20 miles off Tolaga Bay on March 6. The 40-foot yacht's mainsheet suddenly came loose amid the rough swells and knocked Murke overboard while he was only wearing a t-shirt and jeans. "My brother started directly to get me but the swell was like three meters," he told the New Zealand Herald. "He threw a life jacket with a rope overboard. I couldn't reach that, it was already too far away." After being unable to reach the life jacket, the 30-year-old said he quickly decided to turn his jeans into a flotation device, a technique that's used by the U.S. Navy SEALs. "Luckily, I knew the trick with the jeans," he told the Herald. "Without the jeans I wouldn't be here today, they were really the thing that saved me." Murke said he saw the technique used years ago, and that he always thought of using it if he ever ended up going overboard without any flotation device. "I took a deep breath, took out my jeans, made knots at the end of the legs and inflated the jeans; pull it over water and get air inside and then push it under water -- I had like an improvised life vest," he told the news outlet. "Without the jeans I wouldn't be here today, they were really the thing that saved me"
As he floated in the sea for the next few hours, Murke said he thought of his 10-month-old daughter, who lives with his girlfriend in the Philippines. After nearly 4 hours, he was spotted by a rescue helicopter that was searching the area with the New Zealand Coastguard and Royal New Zealand Air Force, according to Sky News. The Lowe Corporation Rescue Helicopter Service shared a video of the rescue on Facebook, which showed a diver jumping into the water to get to Murke (video link... https://www.facebook.com/hbrescuehelicopter/videos/564982187244569/ ). "He is so incredibly lucky to be alive," the rescuer said. This video is different than the first as it shows you how to put air into your paints via cupping your hand to draw in air into the pants. BUY A NEW HOBIE 16 WORLDS BOAT! 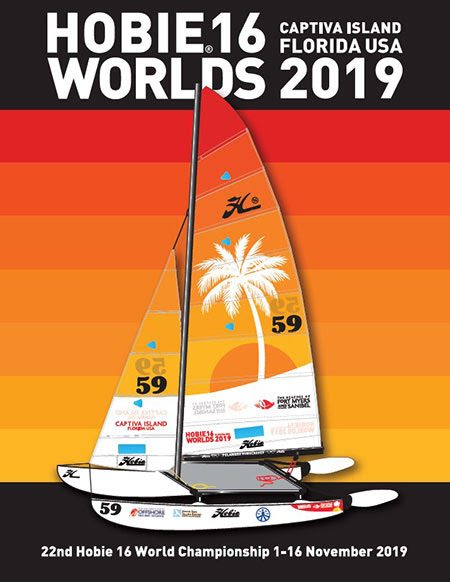 Here is your chance to get a great deal on a new Hobie 16 Worlds boat with unique sail colors and top notch racing components! 60 brand new Hobie 16's will be used as part of the Hobie 16 worlds taking place this November in Florida. Only hitch is one will not receive the boat until after the Hobie 16 world championships. However the wait will be well worth it due to price saving and getting the unique sail colors, and racing components. Price: $9,899 fully assembled if you pick up the boat in Captiva Island Florida (yes the Island is connected to mainland of Florida via a bridge). This is an $1800 savings. Price: $10,529 if shipped from Hobie California facility. Shipping fee must be applied. Savings is $1170 without shipping. We will fully assemble if for free. 10% non refundable deposit is required to secure your boat. Current non world Hobie 16 price is $11,499 without shipping. Tired of the snow and ice? Ready for warm waters and wind? Here is a video to show you that better times are ahead! There will always be a summer of wind and fun!